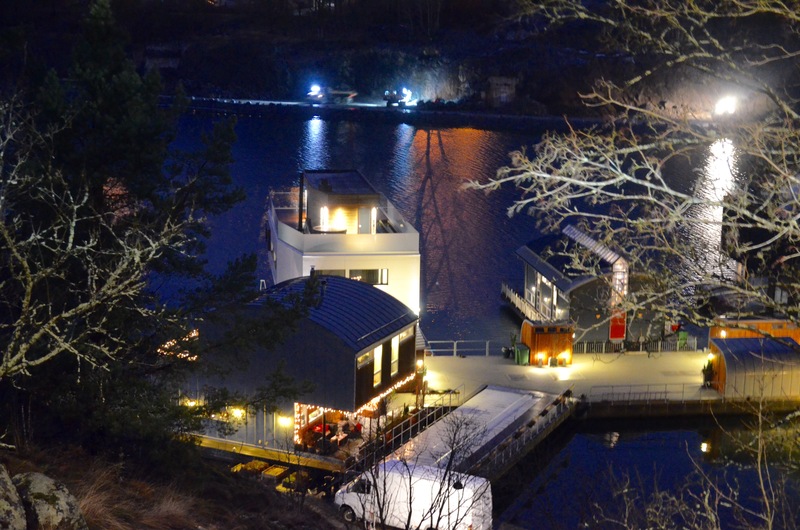 Located in Marinstaden in Stockholm, Sweden, this nearly 200 ton heavy floating luxury residence moored with SEAFLEX gives its owners approximately 250 square meters of living space divided between three stories, as well as plenty of outdoor area. The structure was designed to handle 2,2 meter water level variation, as well as 0,5 meter waves and 30 m/s wind strengths. 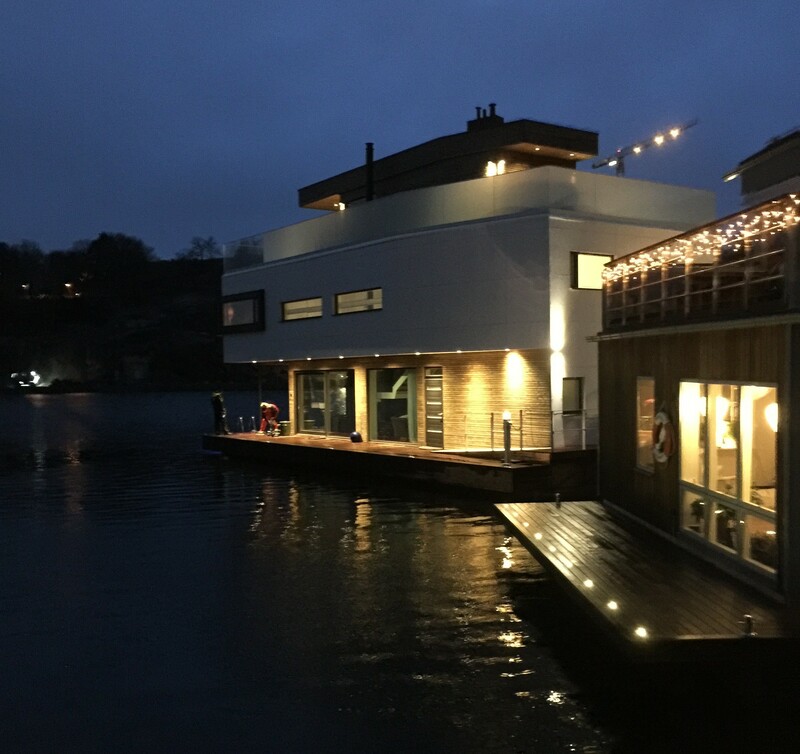 House delivered by Bluet, pontoon delivered by Marinetek.